has worked as a répétiteur in opera productions for One World Symphony, British Youth Opera, Opera Company of Brooklyn, Music Academy of the West, Aspen Opera Theatre Center, University of Cincinnati College-Conservatory of Music, and Amore Opera. Mr. Hsu is the winner of many awards, including Scott Huxley Piano Accompaniment Prize, Major Van Someren-Godfery Prize Accompaniment Award (2004), Ludmilla Andrew Russian Song Prize Accompaniment Award, Sir Arthur Bliss Prize, Distinction Performance Award from RAM (2005), and Sing for Hope Grant for Arts Activism and Community Outreach (2009). Mr. Hsu made his debut recital at Weill Recital Hall at Carnegie Hall in March 2008. He was named the Stern Fellow in SongFest 2009. 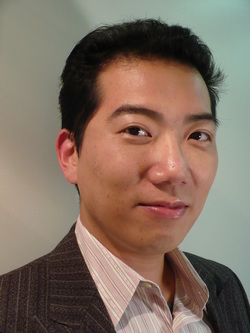 During the 2009-2010 season, Mr. Hsu joined the Opera Company of Brooklyn Resident Artists Program as a pianist/coach/conductor. He served on faculty as a vocal coach in SongFest 2010 and 2011. He is the Founder/Music Director for Pocket Opera of New York, and the Executive Director for Metropolitan International Music Festival. A graduate of the Juilliard School in New York, Mr. Wei-En Hsu is an accomplished pianist, organist, conductor, répétiteur and composer. A native of Taiwan, he received his BFA degree in Piano at Taipei National University of the Arts, and was pleased to be the only exchange student candidate at Juilliard selected to study at Royal Academy of Music in London. Upon relocating to Hong Kong in 2012, Mr. Hsu has worked with the Hong Kong Philharmonic Orchestra, Opera Hong Kong, Musica Viva, and served as the official pianist for Renee Fleming Masterclass in Hong Kong. Mr. Hsu is currently on a fulltime répétiteur position at the Hong Kong Academy for Performing Arts. For more information, please visit http://weienhsu.com.